By: Jessica Nixon Pool, M.S. and Amy K. Olson, M.A. 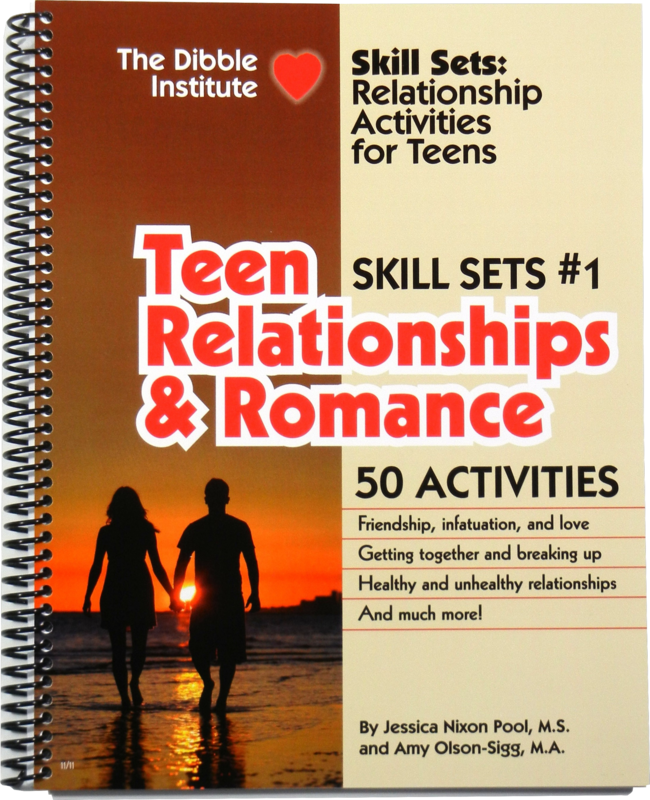 A unique activity book from The Dibble Institute, Skill Sets #1: Relationships and Romance makes it easy to teach relationship skills during “extra” minutes in the day. The 50 diverse choices focus on the most consuming of all youthful concerns: how to be more successful in their romantic lives. Within this context, teens explore self-awareness, communication, handling conflict, goal-setting and more. A variety of formats – not just discussions, but also art projects, music, movies and games – engage teens who have different learning styles. While the topics emphasize romance, the concepts also apply to friendships, family and other of other relationships. At 10-25 minutes each, the activities fit comfortably into limited time periods but are easily extended with discussion. While effective on their own, they can serve as an introduction, extension or review of structured curricula. Skill Sets #1: Relationships and Romance activities appeal to teens of all ages and backgrounds, and adapt easily to both school and community settings All activities are clearly explained and ready to use, including special materials such as game cards and assessments.